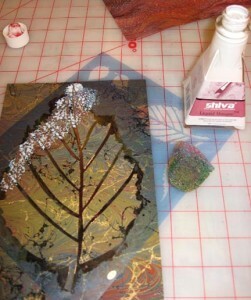 I’m thrilled to introduce a new series of short lessons involving stencils and non-traditional materials. This series has been put together by Susan Stein of White Bear Lake, Minnesota. Susan is a talented quilter, author, instructor, and recently retired quilt shop owner. 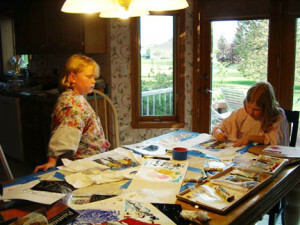 Susan’s most recent books are Fabric Art Workshop and Fabric Art Projects, both from Creative Publishing, International. Susan traveled to Houston with me in October to help out at Fall Quilt Market. She brought a number of fascinating samples made from our new stencils, most made with techniques and materials that are not a part of main-stream quilting. I’m so glad she was willing to put this series of lessons together for us. 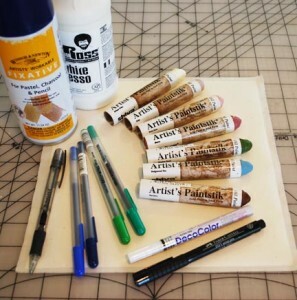 So, without further ado, here’s the first installment in the Playing with Stencils series! New colors flying out the door! Oh, my goodness! The new stencils are flying out the door as fast as we can get the orders packed up. What a wonderful way to launch a new product line! 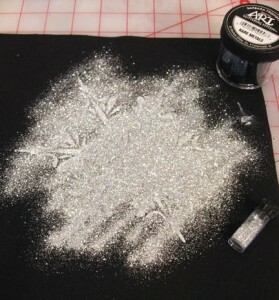 The Snowflakes have been especially popular — no great surprise as many of us have already had snow. 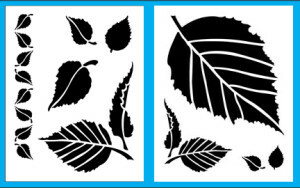 Here are the new sets of stencils that are heading out to shops and our on-line retailers.